Don’t Let a little Snow Scare you away! Feb 15, 2019 • News • Comments Off on Don’t Let a little Snow Scare you away! The concert is still on for tonight! 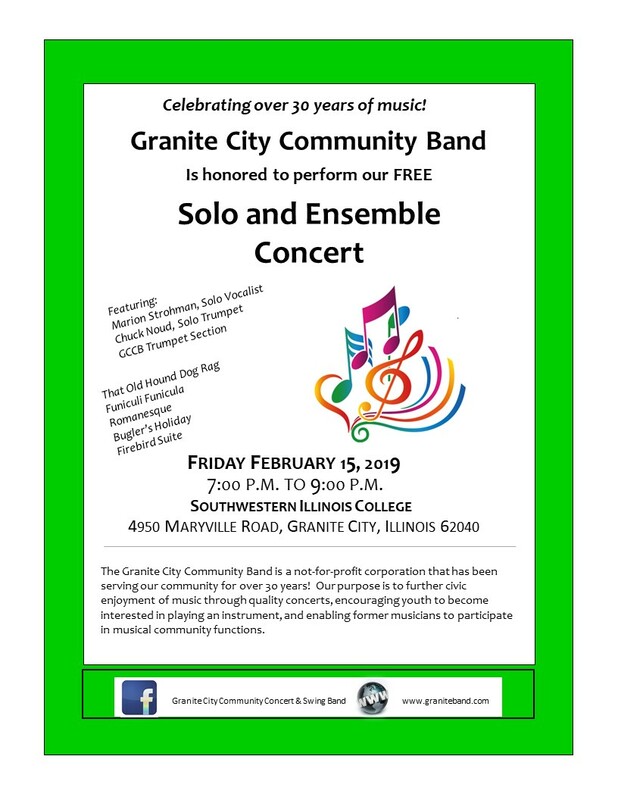 Granite City Swing Band will be having our monthly dance Saturday, February 9 from 6:30pm to 9:30pm at Southwestern Illinois College Commons in Granite City. Looking forward to seeing you there! Our 31st Season will begin on Thursday, September 6th. 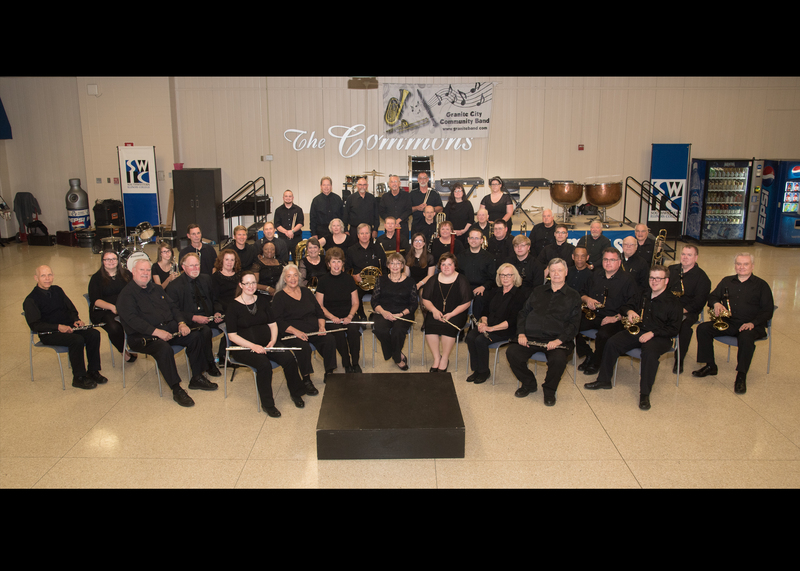 We are looking forward to seeing you and all of the wonderful musicians that make up our concert and swing bands. We will begin our first rehearsal at 7 p.m. Please try to be in your section with music ready to go at that time. The board has been busy all summer preparing for the upcoming season. We hope to have some wonderful new music and old favorites ready to go on the 6th. We will have some announcements and we hope to hear suggestions and to answer any questions you may have. Our first concert date will be October 19th, 2018 at SWIC following with concerts at Grace Baptist on November 9th and our Christmas concert at Granite City First Assembly of God on December 14th. Our three concerts for 2019 will be announced. We hope you can join us this season and please bring you friends to join us. We look forward to seeing you and having a great new season. FREE Concert!!!!! Come join us for music, refreshments and door prizes! 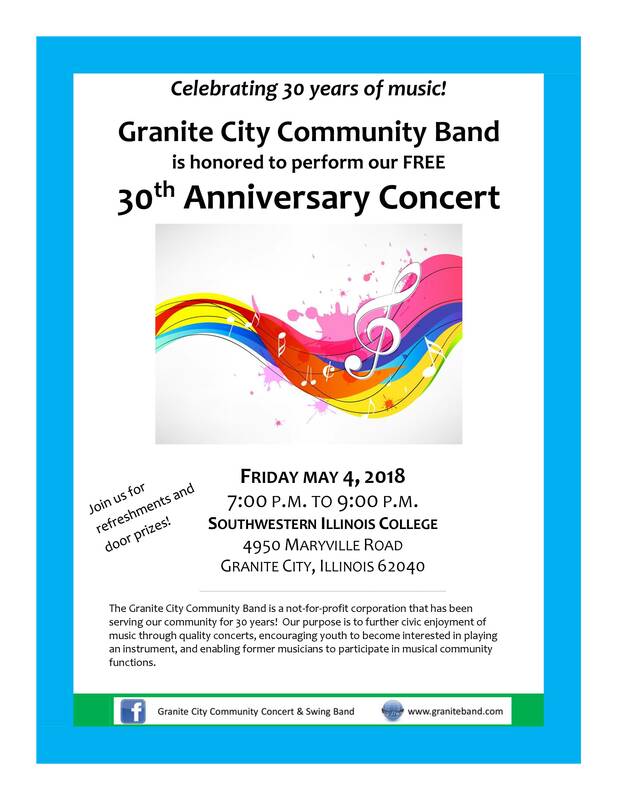 Apr 2, 2018 • News • Comments Off on FREE Concert!!!!! Come join us for music, refreshments and door prizes!